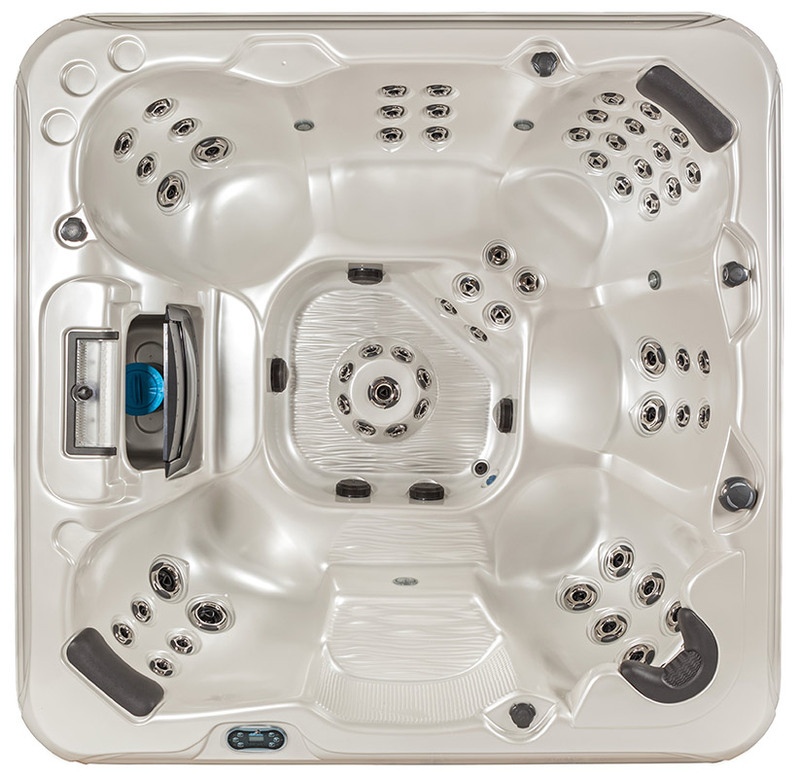 Due to our negotiated low Hot Tub Pricing with our suppliers, hot tub sales are restricted to Connecticut Residents Only. We provide full Service & Delivery to all areas in Connecticut. The foam cores of our durable covers are polystyrene foam that tapers from 4″ to 2.5″ to allow water to run off. 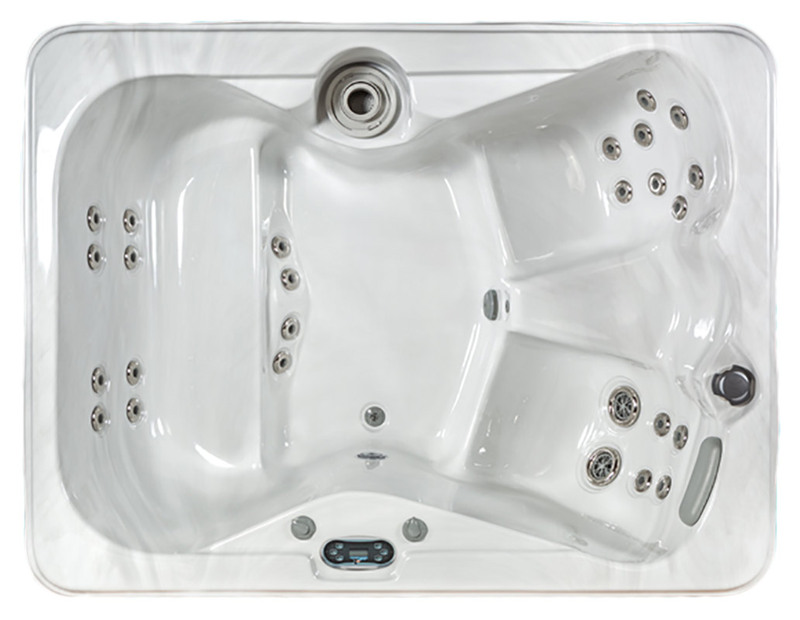 The Ozonator provides additional water treatment and requires fewer harsh chemicals to be added to the spa’s water and purifies water faster than chlorine. This peaceful waterfall provides color therapy and the soothing sounds of falling water, creating a relaxing environment. 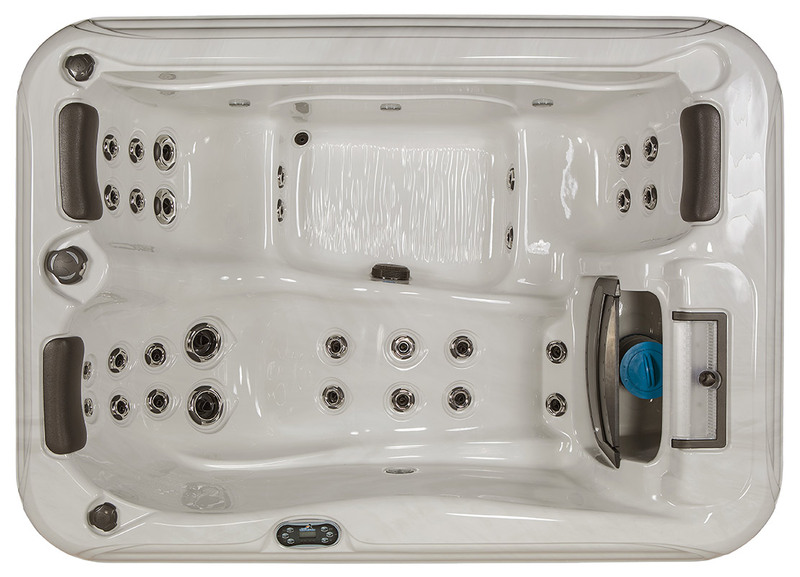 Take control of your spa with an intuitive, easy-to-use, digital LCD display. The beautiful LED lighting system illuminates the texture and detail of the spa’s interior. Treat yourself to the ultimate full-body massage with these revolutionary stainless steel/graphite jets. Filtration removes contaminants such as dirt, metals and oil as water passes through a microporus membrane. 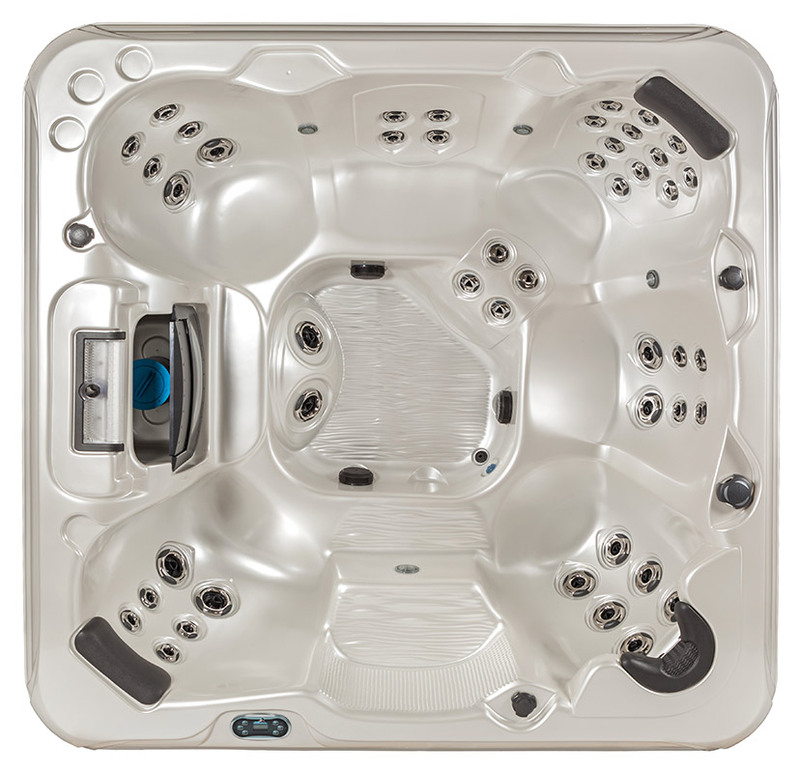 Tropic Seas Spas includes the combination of newly enhanced state of the art technology along with ergonomically designed seating. Each seating area offers a uniquely different massage that can be individually controlled. 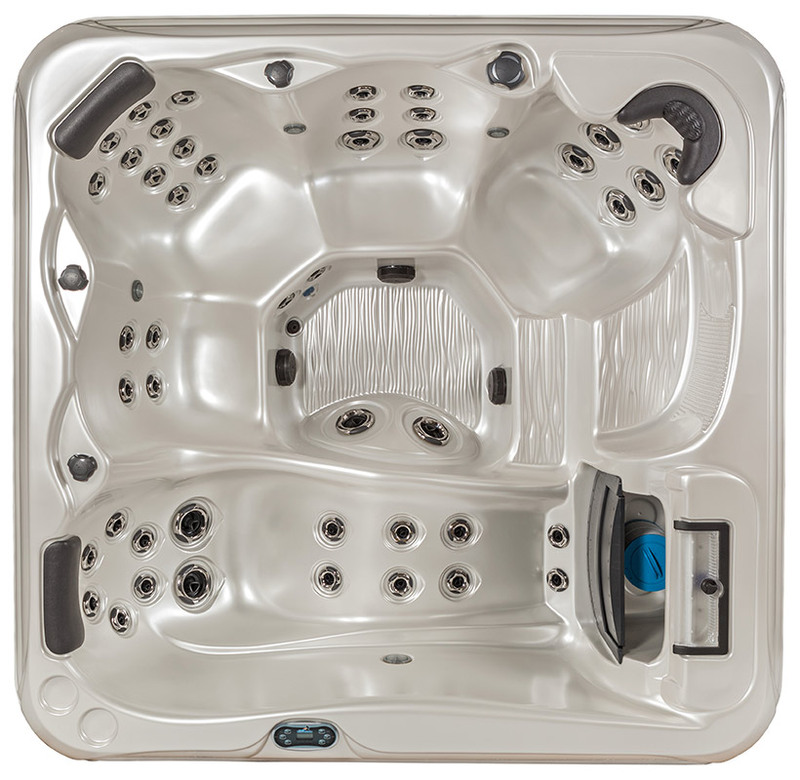 Included on all models are the patented Helix Jets that create an internal spiral motion that both increases jet propulsion and enhances the massage, along with stainless steel exteriors with graphite grey accents for added beauty. 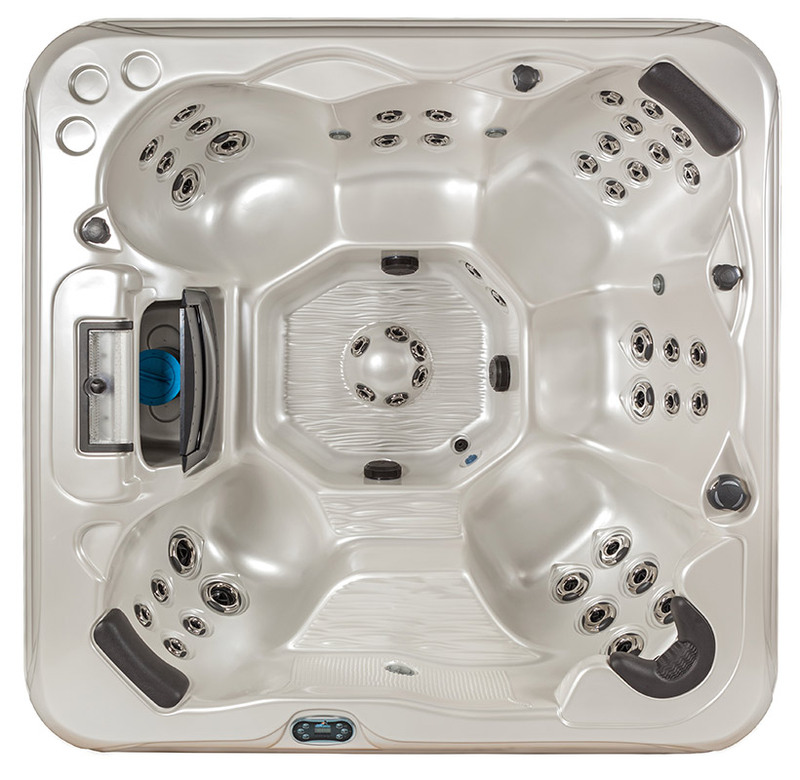 Now Is The Perfect Time To Order Your New Swim Spas To Have It For The Upcoming Swim Season. 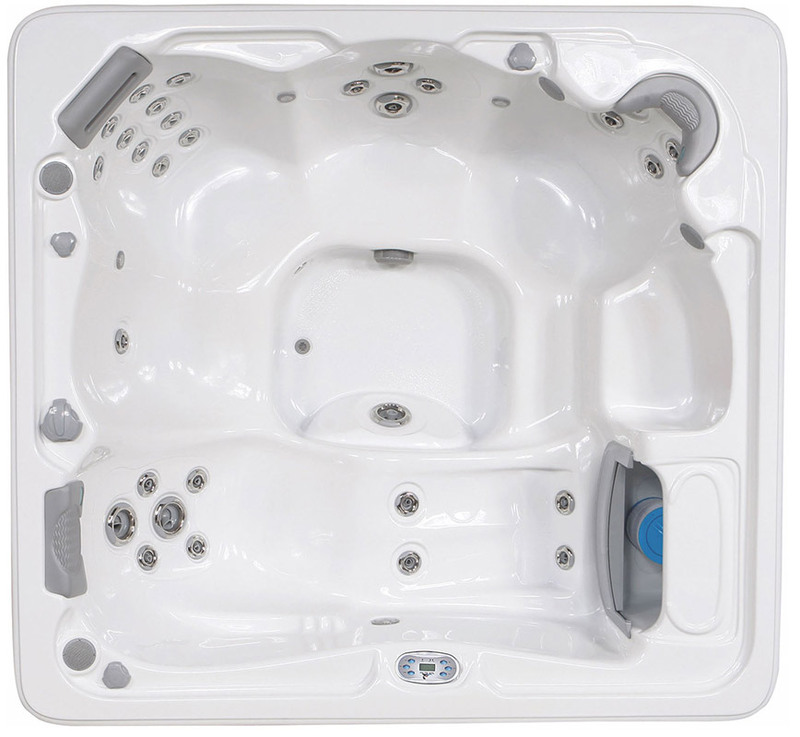 Visit Hot Tub Discounts This Weekend! Choose from Cal Spas array of eight varying swim spa concepts to cater to any and all fitness levels. From beginner, to health enthusiasts, to professional athletes, our lineup of Swim-Pro Swim & Fitness spas offer you the joy, relaxation, and convenience of a complete aquatic gym in your very own backyard. 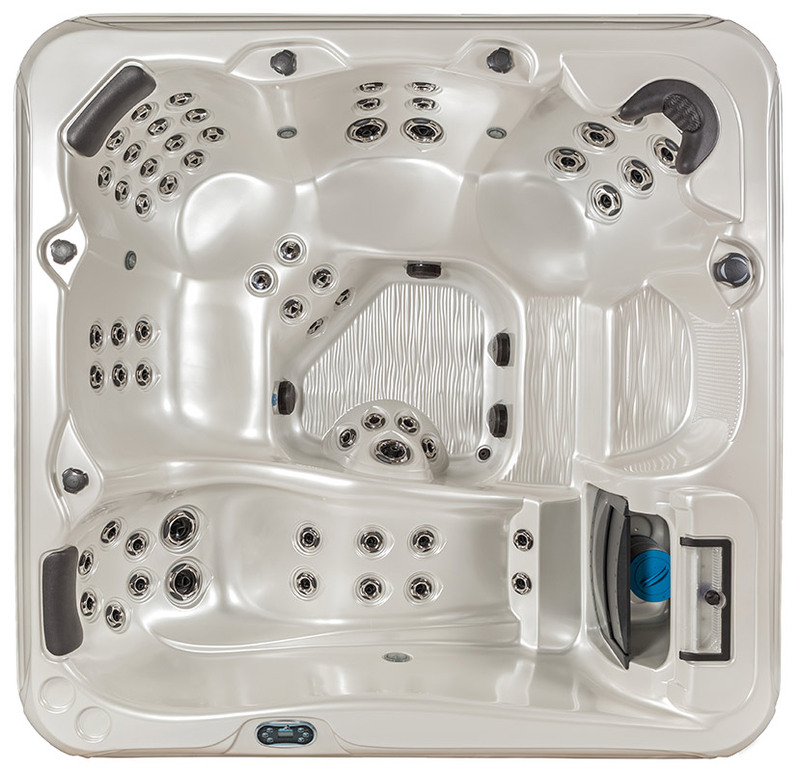 After a full body workout, you can relax or cool off thanks to Cal Spa’s specialty seating design. Perks of owning a Cal Spas Fitness Swim Spa? Drop excess weight and transform your body into the best shape of your life. Experience post-fitness aquatic recovery that helps your muscles heal faster. 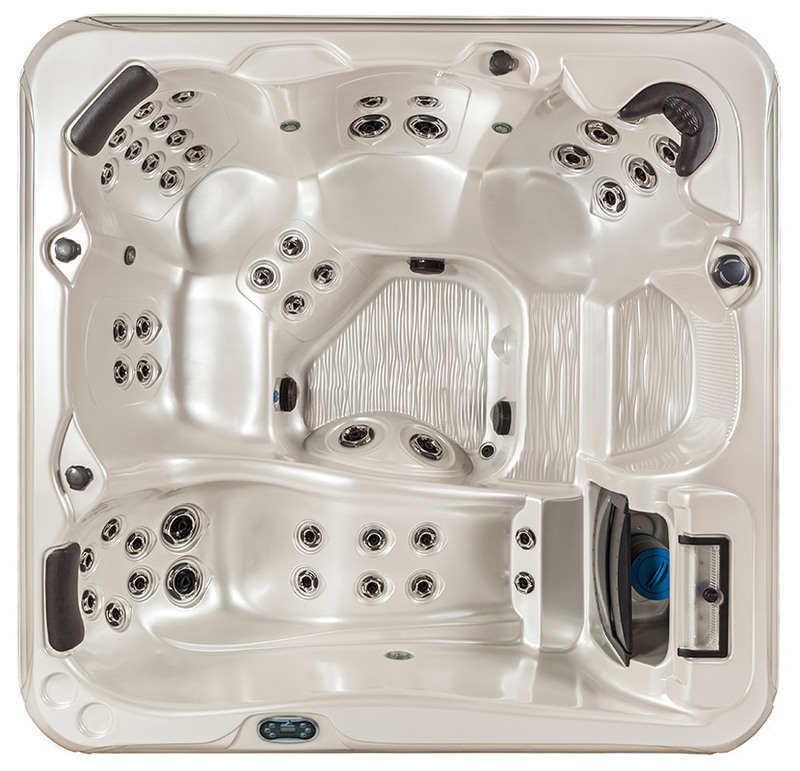 Live life in luxury with Cal Spas! 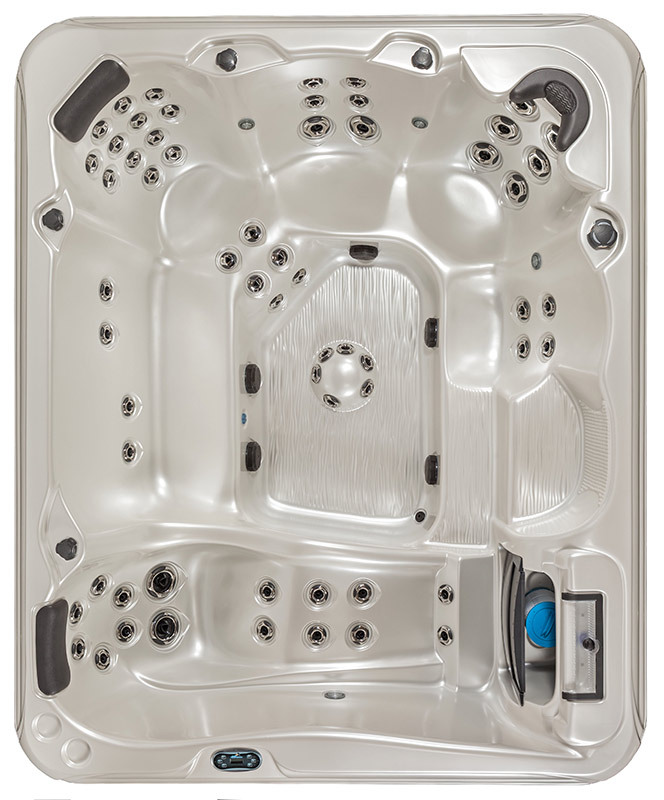 More than just a home spa —Cal Spas Hot Tub adjustable controls allow for a fully-customizable relaxation experience at the end of every day. Liberate your mind and body from the humdrum of your career and your commute, allowing you to enter a world of calm —right in the comfort of your own living space.